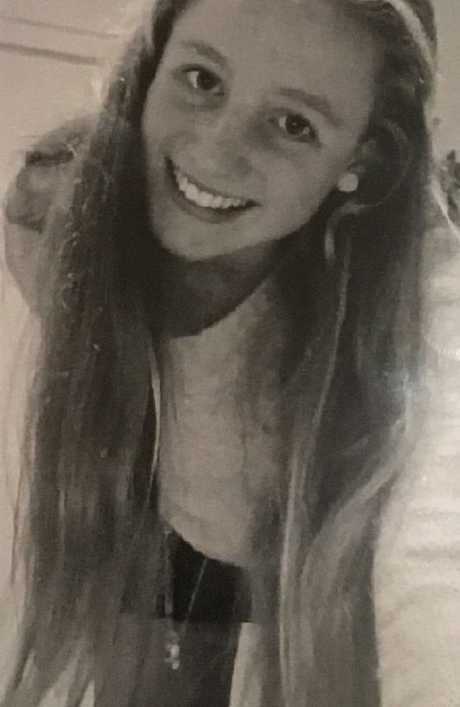 Eloise Gannon died of a sudden cardiac arrest when she was 15 years old – one of four young Australias who die of this each week. 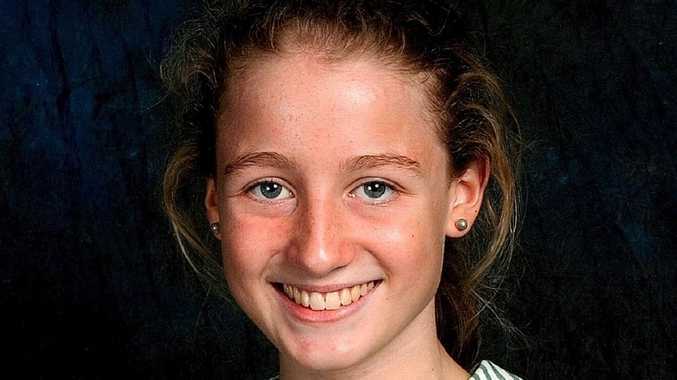 FIVE days after a doctor gave Eloise Gannon the all-clear, the 15-year-old talented swimmer was dead. Her parents had been told their eldest child had more chance of being killed in a car accident than by the heart disorder she'd been diagnosed with six years earlier. Nikki Gannon says her daughter's case of Wolff-Parkinson-White syndrome, in which an extra electrical pathway in the heart causes a rapid heartbeat, or arrhythmia, was considered under control and very low risk. Three weeks before her shock passing, Eloise Gannon had complained at school of an unusual chest pain. 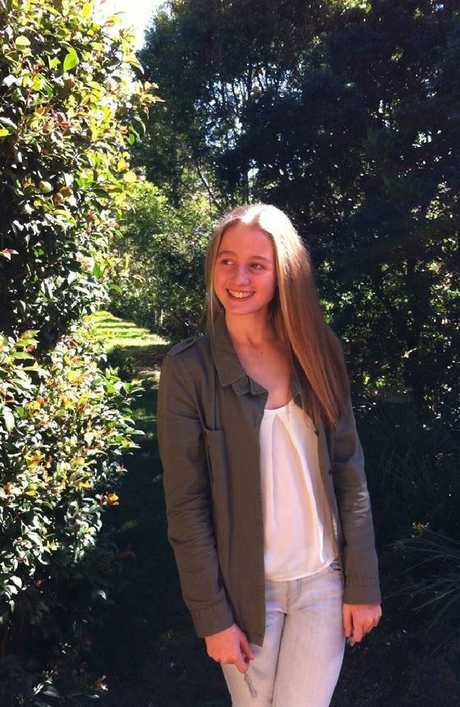 Months earlier the Year 10 student at Clayfield College in Brisbane's inner north had competed in freestyle sprints at the Australian Swimming Championships in Adelaide, her first time at this elite event. 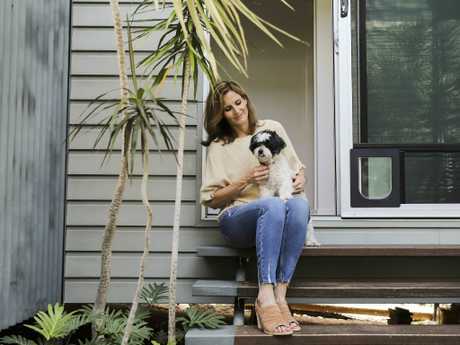 Three weeks before her shock passing, Eloise had complained at school of an unusual chest pain and was examined that afternoon by an emergency doctor at Holy Spirit Northside Private Hospital, Chermside. "Over the course of the day, her pain had subsided," recalls Nikki, "and while her ECG [electrocardiogram] and ultrasound were fine, the doctor wanted her to be checked out by a cardiac-electrophysiologist." That appointment came a little over two weeks later, and Eloise was cleared to keep up her rigorous schedule at Clayfield Aquatics, where she was training eight times a week. Days later, on August 28, 2013, Eloise died of sudden cardiac arrest. "It was just never on our radar, as her tests presented fine," says Nikki, 48, who says the loss of her "Ella-Bella" doesn't get any easier to bear. 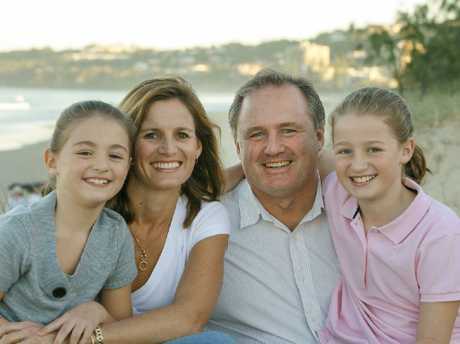 Nikki and Geoff Gannon with their daughters Bronte, then 7, and Eloise, then 10, loved spending time at the beach. 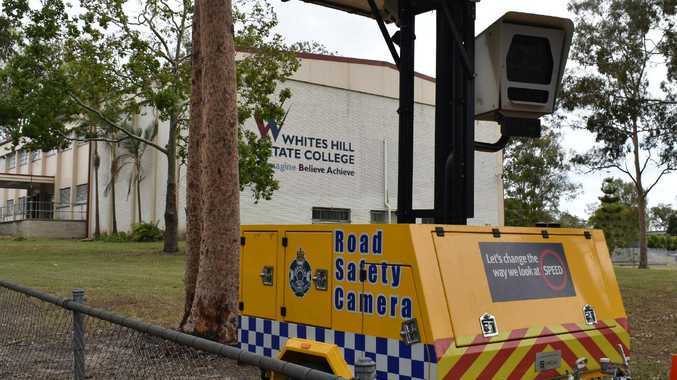 It started out as a regular Wednesday in the Gannon household, in Chermside West. Nikki, an office admin­istrator at Windsor State School, was up early preparing a slow-cooker meal for that evening. Her husband of 18 years, Geoff Gannon, a mechanical-electrical construc­tion manager, was in the shower getting ready for work, and Eloise and younger sister Bronte, 12, were still in bed. "Wednesday is their morning off from swimming training so they were having a sleep-in. The night before we'd had a lovely dinner at home, and the girls were in a super happy mood, laughing and mucking around," recalls Nikki. "At 7am I went to hustle them up, first to Eloise, and when I opened the door to her room, I could see straightaway that something was horribly wrong. My stomach flipped and I called out to Geoff, who came racing in, and that's what Bronte woke to - utter horror. "Geoff is an ex-lifesaver, and we were on the phone to the ambulance but we knew it was too late, and then the police came and the house was chaotic." Detectives interviewed the couple separately, Bronte sitting on her mother's lap. "I kept saying over and over, 'how has this happened?' Your body just goes into shock and I guess adrenalin kicks in and I was immediately protective of Bronte and trying to be as calm as I could for her because this is life-changing for all of us, there's no coming back from this." The close-knit family, who loved sport, music and spending time together at the beach, was shattered. 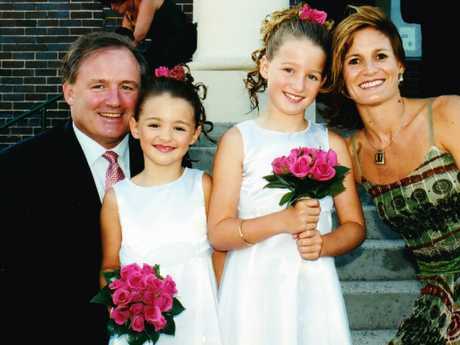 Geoff and Nikki Gannon with daughters Bronte (left) and Eloise. "It was terrible, waiting for the coroner to take Eloise away, in her pink flannelette pyjamas," Nikki says. "Her phone was beside her bed and it was buzzing, buzzing, buzzing, it was her friends at school asking where she was because she was late. We were all just rocked to the core. "People say time heals, that it gets easier, but I think it gets harder over time - it just reinforces that it's forever." LIKE many Australians, the Gannons had never heard of Wolff-Parkinson-White syndrome when Eloise was diagnosed, at age nine, while being treated for a persistent virus. "We'd been to the GP numerous times for her fever and swollen glands and one afternoon I thought Eloise was going to pass out, so I took her to the hospital," says Nikki. "Doctors were concerned about the possible impact on her blood pressure and any stress on her heart, so they did an ECG and discovered she had arrhythmia and an extra electrical pathway, which she would have been born with, so from then on she was monitored by a cardiologist." Wolff-Parkinson-White syndrome affects between one and three people in every 1000 Australians and is considered one of the lesser causes of sudden cardiac arrest. 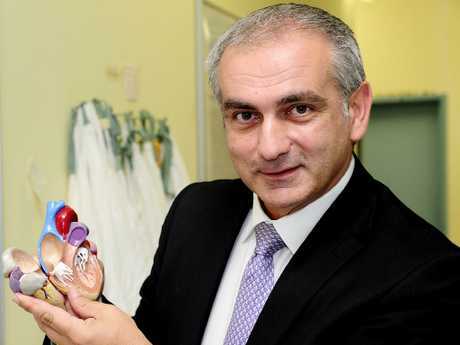 Professor Chris Semsarian, a renowned cardiologist and University of Sydney scientist studying genetic heart disease, says sudden cardiac death claims 30,000 Australians every year. "Four young Australians under the age of 35 die every week from it," Semsarian says. "People think of heart disease as [happening to] an elderly, overweight person who smokes and has high blood pressure and cholesterol, but young and apparently fit and healthy people can also die suddenly. There are now more than 40 different cardiovascular conditions [including Wolff-Parkinson-White] that are caused by an underlying genetic fault. Rigorous exercise seems to be a trigger for sudden death in some of these conditions." Treatment options include surgery to insert wires through the veins in the legs to measure electrical activity inside the heart. The extra connection can thus be identified and eradicated, or ablated. A successful ablation can permanently treat all symptoms, and eliminate the risk of sudden death. In Eloise's case, doctors attempted an ablation when she was 11 but couldn't find the pathway and deemed further exploration too dangerous. 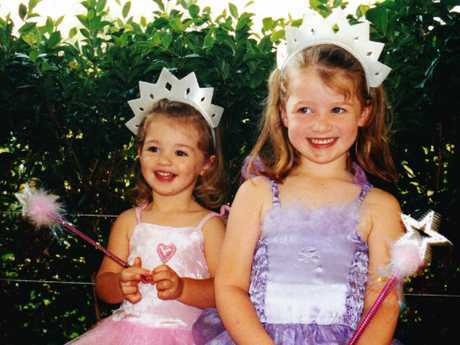 A pair of princesses Bronte and Eloise Gannon. "She was considered at extremely low risk of complications from Wolff-Parkinson-White, in particular sudden cardiac arrest, so the decision was made not to continue the search," Nikki says. "We were advised to keep a record of any symptoms, like dizziness and rapid heart rate, but they were minor and infrequent. Eloise would say, 'Oh, Mum, there it goes', and you'd put your hand on her chest and it'd go flutter, flutter, flutter, and then it would stop." Eloise wasn't on anti-arrhythmia medication and the unusual pain in her chest three weeks before she died only lasted a few hours. "By the time we were due to see the cardiac-electrophysiologist, Eloise was saying, 'don't worry, Mum, I'm absolutely fine'," says Nikki, who kept the appointment regardless. "He gave her a thorough check-up and said he couldn't see any problems, and that she was good to carry on doing what she was doing. I was concerned with the swimming because she was pushing herself twice a day, but again, she was given the all-clear. I now believe this pain was a sign of something to come, and it's clear to me that more research needs to be done into arrhythmia conditions." 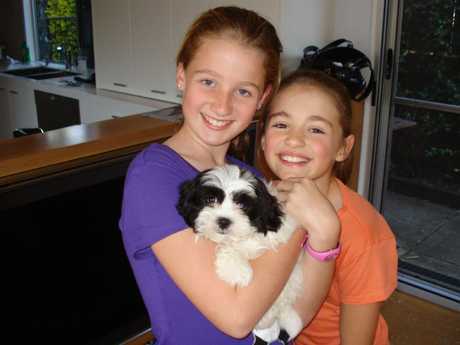 The loving sisters with new puppy Clover. The cardiac-electrophysiologist who cleared Eloise has declined to comment on her case but told Qweekend "there has been a shift in what's considered appropriate levels of exercise - it's a dynamic field and [medical] opinions have changed in recent years". ELOISE Simone Gannon, born July 20, 1998, was a "textbook perfect" baby. An easygoing child, she was shy around people she didn't know well, but among her family and friends she was "hilarious", with a distinctive laugh that filled any room. She loved swimming, working hard to improve her personal bests in 50m and 100m freestyle, but after competing at national level, realised she had a greater passion. "She adored small children," says Nikki, "and wanted to become a midwife. She'd have been wonderful at it too, she was so caring." Nikki struggles to imagine the life her daughter might have had. "Eloise would be 20 now, and I find it more difficult to see her now. When she was at school I could visualise her going to school in her uniform but once Grade 12 finished [in 2015], I really struggled to visualise - would she be at uni, would she be overseas, where is she and what would she be doing? I find that really hard, and as time goes on, it becomes harder. It's that loss of her future and the future we all would have had." Nikki is at pains to point out that her grief is equally shared with her husband and other daughter. Geoff is currently working interstate during the week and Bronte is completing Year 12 at All Hallows' after leaving Clayfield College two years after Eloise passed. "This is just so hard on us all. We liken it to waves - some are dumpers and some are ripples. We have to navigate and help each other through, and it's tough because when one person is on a dumper day, we don't want to drag another down. Eloise is the first thing I think of when I wake up and the last thing I think of when I go to bed. She is always there." NIKKI can't escape the torment that Eloise died alone in her bed - did she call out in pain and no one heard her? Was she scared? Did she simply not know? 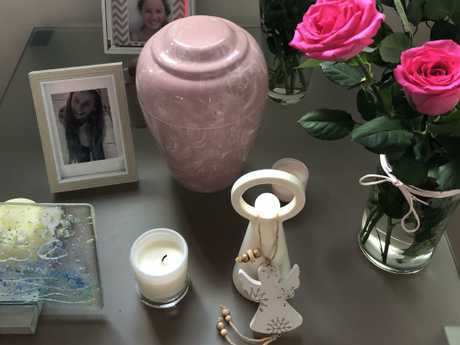 There are many questions that will remain unanswered but this remarkably stoic mum is taking decisive action to ensure Eloise's passing is not in vain. With the support of Geoff and Bronte and several friends with diverse professional skills, she has started the Eloise Gannon Foundation (EGF), which aims to raise awareness of cardiac arrhythmias, promote early detection in young people, support further research and, importantly, improve access to defibrillators, the portable electrical device most likely to save a life. In a little over two years, it has raised almost $100,000, donated defibrillators to sporting clubs, and gained the backing of trailblazing Queensland cardiologist Dr Rolf Gomes. 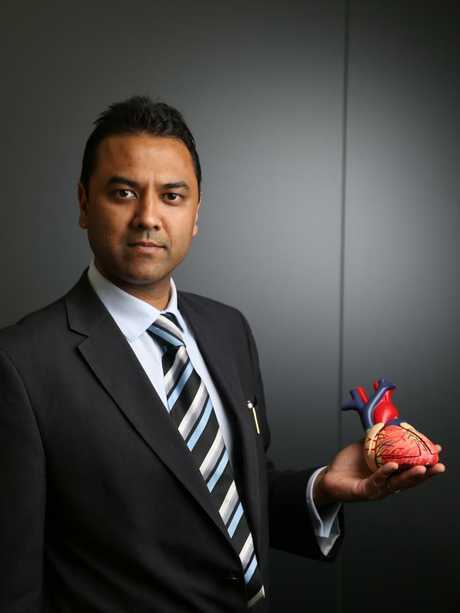 Cardiologist Rolf Gomes from Heart of Australia. Gomes is behind Heart of Australia, which delivers specialist services to rural and remote communities via two 25m-long mobile clinics pulled by prime movers. A third, smaller 12m clinic is being built, with financial help from the EGF, and will be on the road later this year, bearing Eloise's name boldly in pink, her favourite colour. When the clinic is not travelling through Queensland's Outback with Gomes's team, it will be pulling up to sporting and community events encouraging children to get their hearts checked. Gomes was deeply moved by Eloise's story. "When Nikki contacted me I was touched by her motivation for wanting to be involved with us," he says. "Together, we can contribute something positive." Young people need to be assessed, Gomes says. "They can have these funny turns and feel their heart racing or skipping beats, and these episodes are not necessarily related to being anxious or not drinking enough water, or fainting. Many people with Wolff-Parkinson-White syndrome don't even know they've got it, but when we do an ECG it's often pretty obvious. If you can do a spot diagnosis you can potentially save a life." As well as testing for arrhythmias, the EGF is campaigning for defibrillators to be mandatory in all schools. Nikki has met with representatives at Education Queensland and says the idea has been received with mild interest. She isn't giving up, and says offering first-aid and CPR (cardiopulmonary resuscitation) courses simply is not enough. 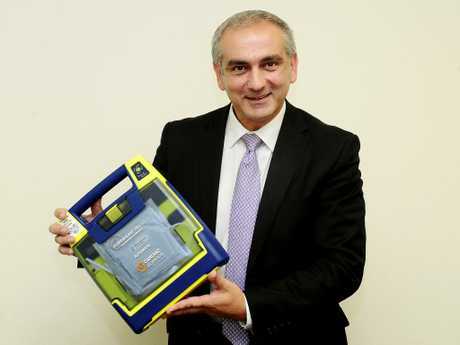 Gomes says defibrillators are "often the only thing that will save you". Relatively cheap at about $2500 and easy to use, he says they allow the heart to re-establish an effective rhythm. "You're more likely to drop dead of a cardiac arrest than be burned to death, yet fire extinguishers are mandatory and defibrillators are not?" The University of Sydney's Semsarian says it's "a no-brainer" to put defibrillators in all Australian schools. "When someone goes into cardiac arrest, critical to their survival is early defibrillation. With every minute that goes past, the chance of survival falls by 15 per cent; by four minutes there is brain damage and by eight minutes there is no chance." Eloise Gannon's urn in the family's living room. A PALE pink urn sits on a small glass table beside the sofa in the Gannons' new home at northside Wavell Heights. It is surrounded by fresh flowers, a framed photograph of Eloise and a white angel figurine with a battery-operated light. "That's my angel, over there," says Nikki, gesturing to the urn that contains Eloise's ashes. "We could not, I could not, bear to have put her in the ground. We needed her here with us." Every night, Nikki switches on the light on the little angel, and takes it with her whenever she travels, including to Peregian Springs on the Sunshine Coast to visit her parents, John and Kerrie Klatt. "That little angel means the world to me; you feel so disjointed as a family, we are a family of four that has become three. The helplessness is overwhelming. As a mother you instinctively want to fix it and I can't go back to that morning and do anything differently." What Nikki can do - with an increasing army of supporters, such as the Commonwealth Bank, Swimming Queensland and EGF ambassadors including champion swimmers Maddie Groves, Libby Trickett, Ariarne Titmus and Jack Cartwright - is save others. Four young people under the age of 35 die every week from sudden cardiac arrest, which kills 30,000 Australians every year across all ages. Many show no signs of being unwell. Wolff-Parkinson-White syndrome affects about two in every 1000 Australians, most of them children. It is one of more than 40 different cardiovascular conditions caused by an underlying genetic fault. Sudden cardiac death can be prevented by raising awareness and improving access to life-saving resources. Know your family history - if there is an underlying heart condition then the clinical evaluation of family members is critical. Get trained in CPR. It should be mandatory in all Australian schools. Defibrillators should be freely available and in increased numbers in the community, including schools and sporting clubs. They are cheap and easy to use, and offer the best chance of survival. SOURCE: Professor Chris Semsarian, cardiologist and University of Sydney genetic scientist.